Annals of the Four Masters, 1597. Dublin, Ireland – Friday, 11 March 1597. Wartime. 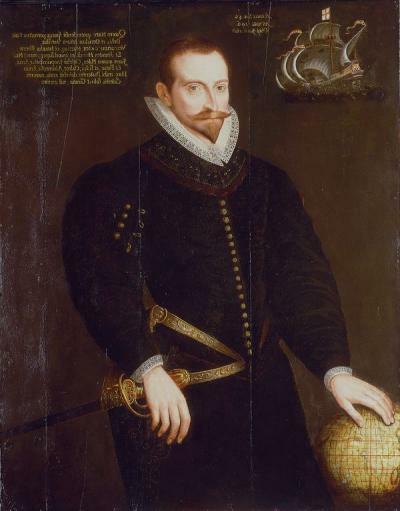 The Irish rebels, backed by the Spanish, had been in arms against Queen Elizabeth since 1594 and were taking their fight to the whole island. The crown army’s central distribution point was at Dublin, which enjoyed a great traffic in soldiers, victuals and munitions sent over the Irish sea from the port of Chester in England. It was a fine day in spring. Anchored in one of the pools of the river Liffey was a ship bearing a cargo of gunpowder from the Tower of London. The silting of the river made it risky for ships to approach the quayside at Dublin, so the cargo was loaded onto lighters (flat-bottomed barges) and sent ashore at Woodquay at the end of Winetavern Street, below Christchurch Cathedral. 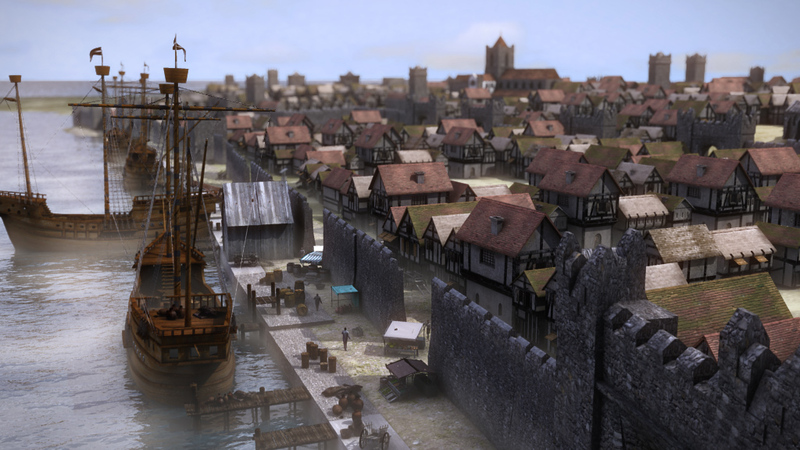 Imagined view of the late medieval quays of Dublin. The cathedral is the tallest structure; Woodquay at the far end of this perspective.